Cities Connection Project | MIXED-USE BUILDING. BARCELONA. Jaume Valor Montero, Elisabeth Sadurní Moreta, Marc Obradó Cebada. Building for the Barcelona City Council in the city centre, between party walls and occupying the hole plot. It includes three different uses: 32 supervised dwellings for elderly people, a Public Health Centre and 44 underground parking places. The promoter’s main aim is that those in danger of social exclusion needn’t to leave their neighborhood to have access to tutelary housing. The apartments are designed to achieve the highest personal autonomy, excluding architectonic barriers and incorporating -for the first time in this kind of building in Catalonia- a solar underfloor refrigeration that prevents health damages caused by heat waves. The complexity of function and location, leads to the maximum use of natural light and ventilation possibilities, which determines distribution and openings. 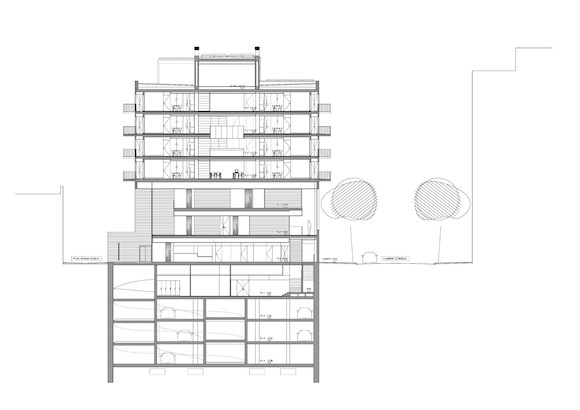 General volume and the building’s skin are defined by it’s double function as a public facility and residential building. Thus, the façade is designed with a proportion of windows that is coherent with the surroundings, showing at the same time the public character of the Health Centre. 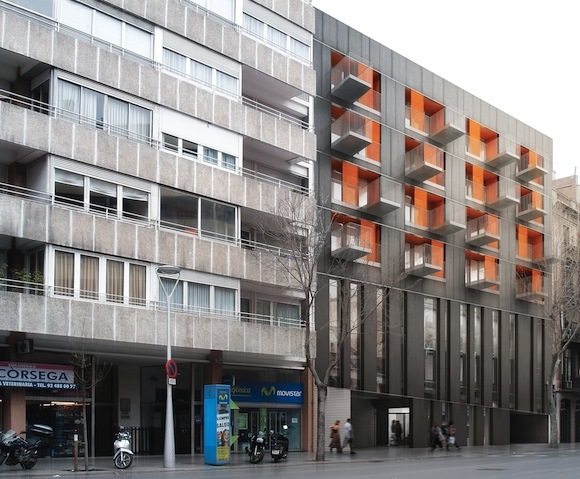 It was the first apartment building in Barcelona with Level-A Energy Certification, and one of the 4 pilot projects of the High Combi European Union Program, within the 7th Framework Programme for very high solar fraction buildings. It has also been pilot project of the future Spanish Acoustic Certification and of the foundation’s auscultation city system. It obtained the First ENDESA award to “The most sustainable residential promotion of Spain 2011” and has been study-case of many university masters.